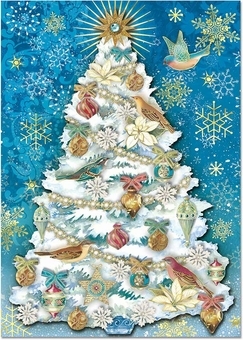 These beautiful cards have a snowy white Christmas tree set against a bright blue backdrop. 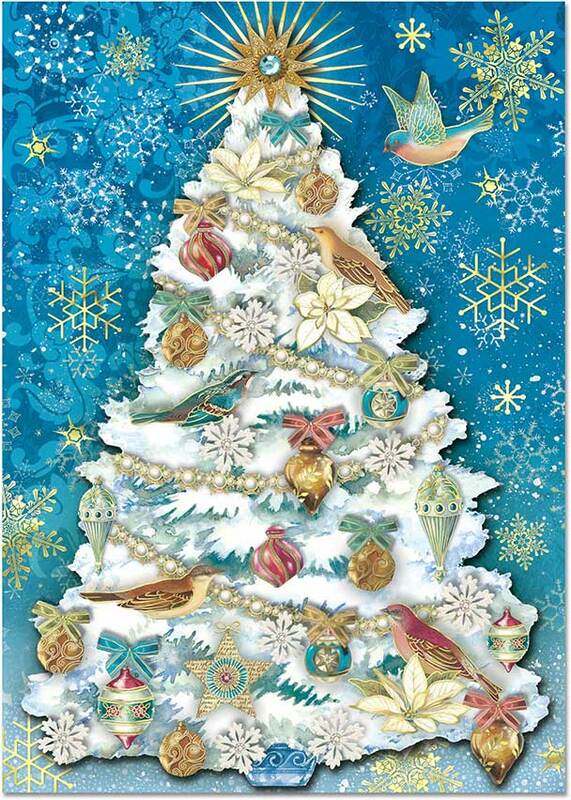 The tree is decorated with strands of pearls and baubles, as well as birds and poinsettia blossoms. Gold foil snowflakes fall around it, and gems add a sparkle.